Asanga Tours. AYUBOWAN .I am Asanga Kumaradasa from Gampaha.I am a young energetic guy .who loves my country ,environment and traditions.I worked for a reputed company.I have 7 years of experience in this field.by nature am a very friendly person,I go out of my way to satisfied my clients.I do arrangements and pick ups from the airport to hotels or which ever destination required by the client.I can arrange and recommend good hotels ,bungalows and rooms. I do one day trips or even more as the clients need.I do have packages to suit the clients.i can show the important places like the UNESCO heritage sights. Wild life (safaris) beautiful beaches the beautiful botanical gardens ,boat rides, Water rafting, whales watching, Train Riding. I always accompany my clients to ensure their safely. I can introduce my clients to traditional sri lankan food, indian ,western food too. According to the clients taste and wish.If the clients wish to shop I take them to the Luxury Hotel, Apartment, Luxury Vila, Cabins and Comfortable Rooms. Where they can get the best value for their perches, souvenirs, if u wish to have a memorable,satisfied and an unforgettable experience tour,you can contact Asanga Kumaradasa on Asanga tours . We Strongly commit our selves in ethical conduct in all activities we undertake. We ensure your safety at all times and pay full attention to make sure that you have a hassle free travel experience. We conduct all our activities with complete transparency. Nous terminons un voyage de 12 jours au Sri-Lanka organisé par l'agence Asanga Tours qui nous a proposé un excellent chauffeur-guide, Asanga, que nous recommandons. Asanga est un très bon guide qui connait très bien son pays et son histoire. Il est attentionné, toujours à l'écoute et c'est une mine d'adresses précieuses que ce soit pour les visites, les repas ou les achats divers. De plus, c'est un très bon conducteur, calme et prudent, et dans sa voiture (une Peugeot 407 bien entretenu), nous avons toujours voyagé en confiance. Aspects pratiques : Nous avons communiqué aisément avec lui en anglais, et pour ceux que la cigarette dérange, il n'est pas fumeur. En bref, nous recommandons fortement Asanga ! My Mum (85yrs) and I spent 5 days (7/9-11/9) tours visiting all historical temple in Sri Lanka: Golden (Cave) Temple, Sri Maha Bodhiya, Mihintale, Temple of Tooth, a few to mention. My mum enjoyed the tour so much, every thing planned out so well by Asanga. 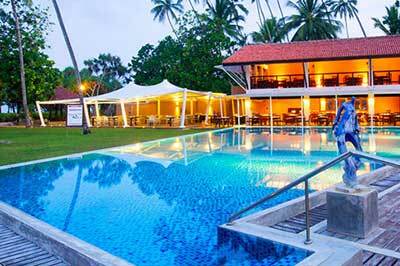 We stayed 1 night at The Covanro Hotel, 3 nights at SunGreen Hotel and 1 night at Royal Kandyan Hotel. All hotels are fully aircond with Bfast and Dinner included. Airport picked up and dropped off. The scenery was so beautiful even thought they were very hot days. Particularly at noon time (about 36+C), the air cond in the car was maximum but still could not win the heat from the outside. I believe we traveled about 500km in total. Asanga is a very gentle and trusted man, he was with us all times to protect us from trouble (if any). He told us histories about the places that we visited. Very well organised and always in times. Tour cost under US$1000.00 included car (euro sedan) , tour guide+driver (Asanga), air cond hotels, bfasts, dinners. Excluded lunches and entrance fees to the places (where applicable). Thank you very much Asanga for everything, looking forwards to see you again in my next trip with my family in Sri Lanka. I strongly recommend Asanga to people who wants to have a great holiday in Sri Lanka without any trouble. Note: if you do plan to visit temple, make sure you bring thick socks or your barefoot will get burn. No shoes or thongs allow into the temple in Sri lanka. We got burn on the 1st visit.